Many families need a vehicle with a third row in order to sit 7 or 8 passengers comfortably, but most do not want to sacrifice the style, features and performance of an SUV. In fact, the market for minivans is shrinking and the market for SUVs (especially crossovers) is hot thanks to recent improvements in functionality, interior/exterior design and most importantly, gas mileage. The 5 reviewed below stand above the rest. The 2013 models are emphasized since they are still on the market, but most details mentioned cover the newest models as well. This list is based on reviews and awards as well assessments of reliability, safety, features and MSRP. In most cases, the 3rd row is an option and does not come standard. These vehicles seat at least 7 and some can seat 8. There are other options from GMC, Buick and Chevrolet available, but these are the best of the best. The excellent reviews, along with ownership costs, earned the Acura MDX our Best SUV award and a Best Luxury 3-Row Midsize SUV for the Money from U.S. News & World Report. According to Kelley Blue Book, the Acura MDX offers the perfect combination of performance, power, fuel economy, comfort and luxury to keep customers returning. The MDX base model includes features – power windows, doors and mirrors; leather upholstery; 3-zone auto climate control system; rear-view camera system; XM Satellite Radio and 18-inch wheels – typically found in premium vehicles. The interior of this 3-row luxury crossover offers extreme comfort high-quality leather. This luxury vehicle offers three option packages: Technology, Advance and Entertainment. The Entertainment package, with its 115-volt outlet, allows backseat passengers to watch DVDs on a big LCD screen. The Advance package includes adaptive suspension, ventilated front seats, and various safety features, including brakes that automatically apply if the sensor indicates a potential accident. A state-of-the-art navigation system, 410-watt premium audio system and triple-view rear-view camera are a few of the features that make the Technology package unique. The V-6 with automatic transmission has a 3.7-Liter/224 engine that kicks out 300 horsepower @ 6300 and features an mpg of 16 city/21 highway. 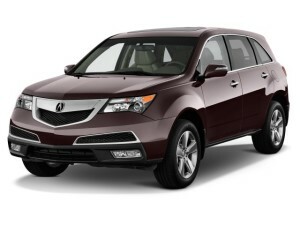 In addition to being ranked highly for reliability and performance, the Acura MDX has a strong safety rating. Overall, this luxury vehicle is rated 8.5. Read the full review. Toyota has been long known for its reliable, durable and economical vehicles and it appears Toyota Highlander is no exception. 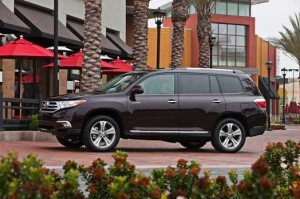 The Highlander is also available as a hybrid. 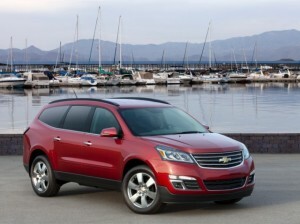 U.S. News & World Report ranked it #2 among affordable midsize SUVs and #3 among affordable SUVs with three rows. It offers a 4 cylinder engine with the base or Plus trim and a 6 cylinder with the SE or limited trims. MPG varies between 20/25 city/highway for the 4 cylinder; 18/24 city/highway for the V-6; and 28 city/28 highway for the hybrid. The Highlander is a family-friendly crossover that offers good handling, roomy interior and cargo space, convenient features, and reliable performance – the perfect choice for savvy shoppers. It ranked above average for reliability and has an overall rating of 8.2. Read the full review. This year’s Kia Sorento has strong reviews in several categories, including its sufficient cargo space, competitive prices and excellent gas mileage. This crossover vehicle comes as a 5 seater that provides a lot of head and leg room; however, it offers an optional third row. Consumers don’t have to sacrifice style or power for good fuel economy and can also choose between all-wheel drive or 4-wheel drive. The direct-injection 4 cylinder engine is peppy, offers an automatic transmission and 30 mpg on the highway. Even the 6 cylinder all-wheel drive gets drivers an mpg of 18/24 city/highway. In addition to a modern and stylish exterior that is Kia-like, the latest Sorento provides a smooth, sporty and considerably comfortable ride at highway speeds. Some consumers stated that it isn’t the best choice if you need to transport adults in the last row or carry a significant amount of cargo. Based on information collected from automotive experts, it has an overall rating of 8. Consumers looking for an affordable option with excellent MPG performance may find that the it is the perfect choice. Although the Chevrolet Traverse falls in the middle in price among the top five 3-row SUVs, it’s style, appearance, family-friendliness and performance are definitely not in the middle of the pack! In fact, these very features earned the latest Traverse the award of Best 3-Row Midsize SUV for Families from U.S. News & World Report. The improved seats offer more room and comfort than previous models. Standard features include Bluetooth connectivity, backup camera and 6.5 touch screen display. Both Edmunds and Automobile Magazine report that the suburb re-style, roomy cabin and luxurious ride make the Traverse an ideal crossover. While most drivers thought performance was good, some experienced some sluggishness when going up hills. The 3.6-liter, V-6 engine features a 6-speed automatic transmission that gives drivers an average mpg of 17 city/24 highway. With a great safety rating and an overall rating of 8.1, why would consumers not want to check this one out? Read the full review. 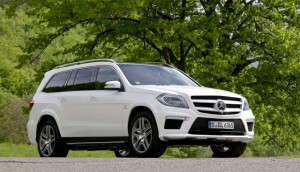 The 2013 Mercedes GL-Class has a price substantially higher than the others, but it’s a luxury vehicle unlike any other. 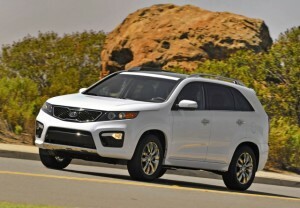 In fact, U.S. News & World Report ranks it #1 among ten luxury SUVs and #2 among luxury 3-row SUVs. The turbocharged 4.6-Liter/285 V-8 gas engine is offered as a 362 or 429 horsepower option, which features mpg of 14/19 city/highway and 13/18 city/highway respectively, while the turbocharged 3.0-Liter/182 diesel V-6 engine offers even better fuel economy. Choosing the large V-8 can easily jump the price up to more than $86,000. Consumers like the gas mileage of the V-6 but the power of the V-8, but were mostly impressed by its great handling and smooth performance. While the GL-Class did have a safety recall with the seat belts, it has not yet been ranked for safety. The standard version of this luxury SUV seats seven, which includes a roomy middle-row bench for three people and a cramped (typical for this type of vehicle) rear bench for two. The heated front seats offer various adjustments for comfort and lumbar support. When all rows are used, it offers 16 cubic feet of cargo space; however, 93.8 cubic feet is available when both rear seats are down. While still rugged, the exterior features an angled yet subdued front end with a more prominent grill and LED lights covering both the front and back of the vehicle. Overall, it is a high-end vehicle that offers a luxurious ride and an overall rating of 8.1. See the full list of vehicles.